The thing is, I never had a guitar teacher to get me over the hump. I took private percussion lessons for years, and I took a required class in college where we worked on basic piano skills. I tried to teach myself the guitar, and that’s probably why I failed. In fact, according to Zivix, the makers of the Jamstik+, 90% of people who start playing guitar quit within the first year. What makes the Jamstik+ unique is that it makes your smartphone your teacher, and it allows you to bring your small practice version of a guitar with you just about anywhere. 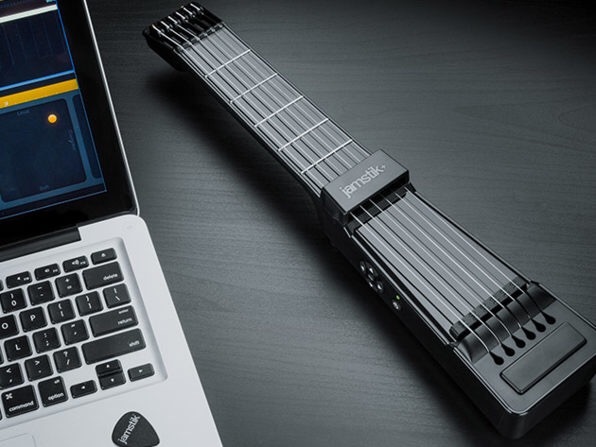 You get to practice using real strings and frets with feedback realistic provided by the Jamstik’s software. By making learning the basics of guitar fun and accessible, it should help to increase your odds of sticking it odds. At $279.99, it is also a cool $1000 or more less than a year of private guitar lessons. The Jamstik+ from Zivix is available from our Deals site for $279.99. 90% of people who start playing guitar quit after the first year. That’s part loss of interest, part bad teaching. 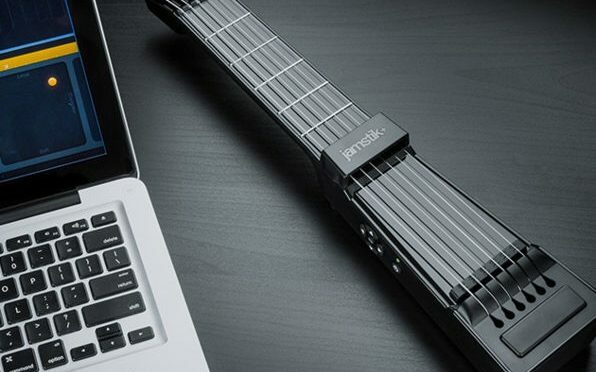 Jamstik+ addresses both of those shortcomings. Link the Jamstik+ Smart Guitar with your smartphone, boot up the app, and you can instantly start learning guitar in a fun, accessible way. Before you know it, you’ll be able to move up to the real thing and start ascending towards Jimi Hendrix. Previous PostA Fix is On the Way For the iPhone X’s Temperature TantrumsNext PostDo We Really Want an iPad Pro with Face ID Right Now?